Corey pulled a few heart’s desires together and created Green Vegan Media, a graphic design studio in Somerville, Massachusetts. She works with small businesses like WTF Vegan Food and non-profits that also desire love for animals and the environment. Over the span of ten years, Corey’s design adventure has taken her through an ad agency, daily newspaper, city magazine, and non-profit. Green Vegan Media specializes in web/digital design, WordPress implementation & customization, print design, advertising, and brand identity. She donates 5% of proceeds to an animal sanctuary or veg-friendly charity. 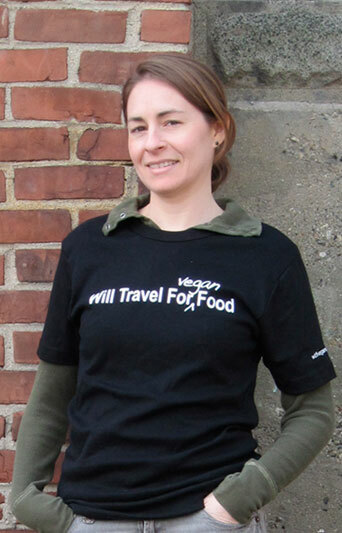 The catalyst that catapulted Corey to veganism in 2008 was an episode of Morgan Spurlock’s 30 Days series. Corey joined the WTFVF team in the Fall of 2012.